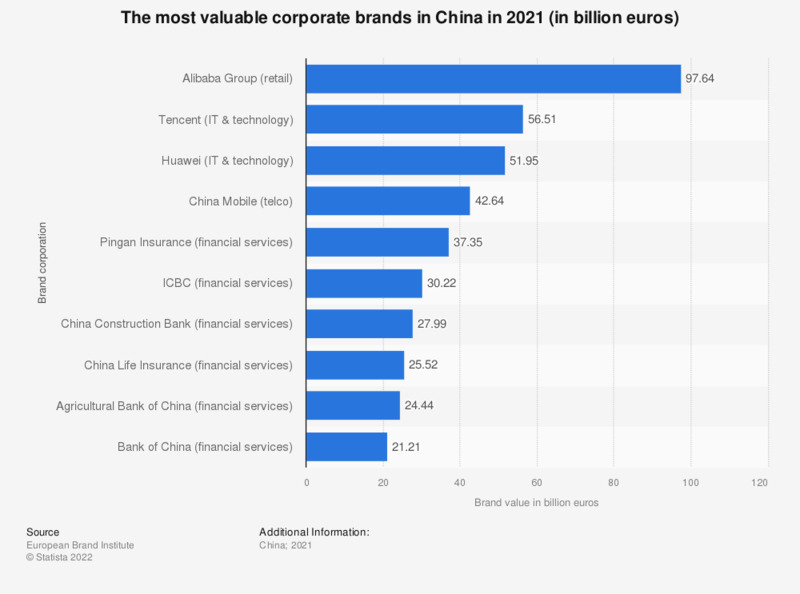 This statistic presents the most valuable corporate brands in China in 2015, as ranked by the European Brand Institute. The most valuable corporate Chinese brand of 2015 was China Mobile Limited - a state-owned telecommunications company, serving mainland China, Hong Kong and Pakistan. Its value was estimated to be 48.68 billion euros in 2015. Here you can find out how many customers China Mobile had from 2005 to 2011.